A 4mm layer of BASF expanded polystyrene infused with graphite particles and reinforced by a laminated backing. Delivers 20% better insulation performance than a standard polystyrene of the same thickness, equivalent to 26cm of solid concrete. Also helps to combat condensation and resultant mould by retaining more room heat at the wall surface. For adhesive use 33849 . 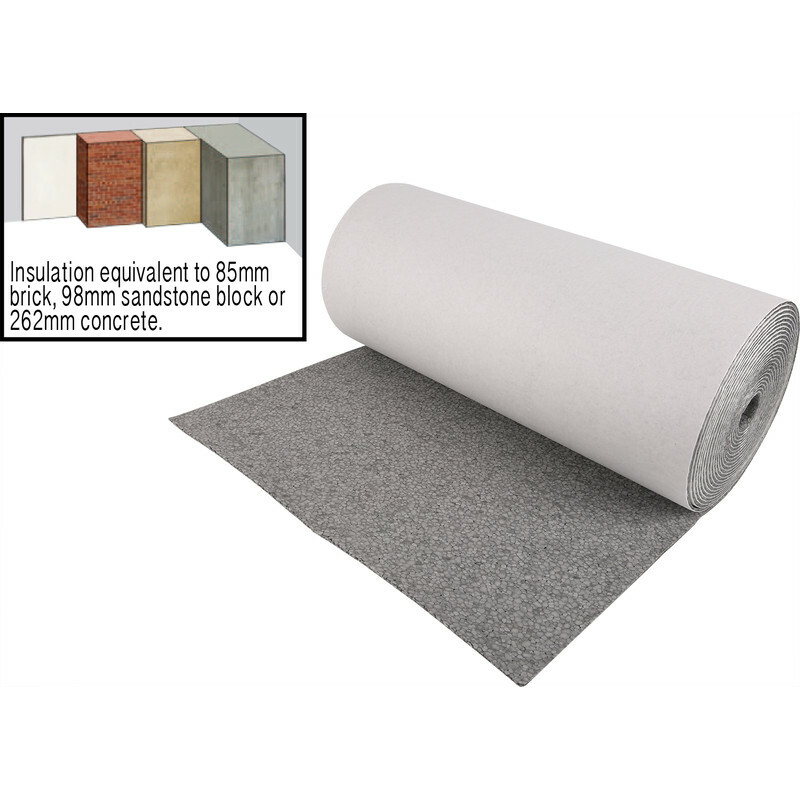 Graphite+ Insulating Lining Paper 10m x 50cm is rated 4.3 out of 5 by 26. Rated 5 out of 5 by Handyman20 from Lining paper Great if a little fragile, make sure that the stock roll is undamaged before leaving the shop. You must use the correct wall liner adhesive and then over lay with the correct lining paper and again adhesive by wall rock otherwise the paper shrinks when overpainted. Rated 5 out of 5 by bluelizzie from excellent product 2nd purchase for lounge. Did a cold bedroom last summer, end stone house, some condensation problems due to cold. Its now the warmest, cosiest room and no condensation. Its not the easiest thing to work with and the middle of the roll does have ridges, as per other reviews, but put on carefully and join lines doctored we haven't had to paper over and its just been painted. Rated 4 out of 5 by Tom28 from A bit of a faff, but looks grear I wanted this to cover some very rough plaster on the 3m2 concrete kitchen ceiling in my flat. Inspite it not being recommended for ceilings. It’s a real faff to put up, the adhesive starts drying before you can get it on, and it’s quite delicate. Trick is to coat the insulation first, then coat the surface in 2ft sections, working your way across. The adhesive dries rock hard, so the next day, it was sound, ready to accept decor. Once it’s up, there’s no way to conceal the joins (filler keeps cracking), so you HAVE to go over the top with lining paper. I used the fireliner, which was really easy comparably, and is fireproof. Finished result looks excellent, like a newly plastered smooth ceiling, but it was not a quick job! I’d only recommend for small areas. Rated 4 out of 5 by Lloydmm from easy to install paste the wall, cut to length and fit, fill any gaps with flexible filler, easy.